3 links pointing to Go-fishing.co.uk were found. The most important links to the website are from Daytickets.co.uk and Wacac.me.uk. 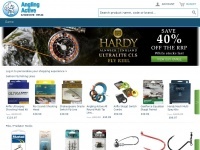 The homepage of Go-fishing.co.uk and the subsite are most referenced by other websites. 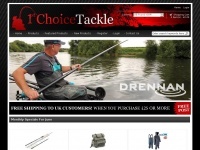 The table shows the most important links to Go-fishing.co.uk. The table is sorted in descending order by importance. 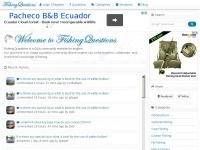 The table shows websites of Go-fishing.co.uk, which are often linked by other websites and therefore they are classified as important content. 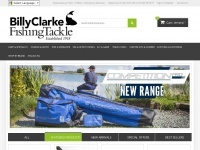 Anglingactive.co.uk - Angling Acti­ve - Fis­hing Tackle, Countrywear, ..
Billyclarke.co.uk - Billy Clar­ke Fis­hing Tackle Sheffield, Dai­wa, Shima­no, ..
1stchoicetackle.co.uk - First Choi­ce Tackle, 1st choi­ce for Fox, Dai­wa, Greys, ..